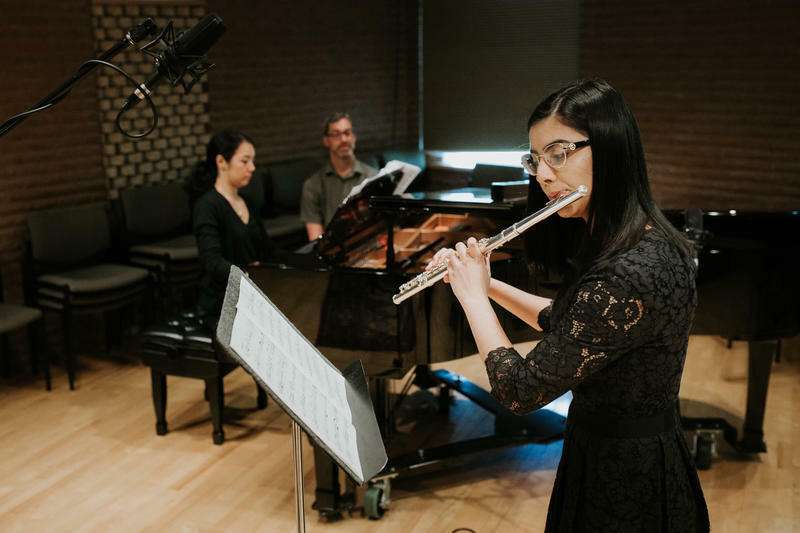 Aalia Hanif performs Hindemith on flute. While the Nashville Symphony is just wrapping up the second year of its Accelerando program, they are already looking forward to its long-term results. Meant to foster the talent of young musicians from underrepresented ethnicities, the initiative works to prepare students for careers in the classical field with private lessons from Nashville Symphony players, among other perks. Walter Bitner, the Symphony's Director of Education and Community Engagement, hopes that in the decades to come, Accelerando will help orchestras "begin to look more like their communities." 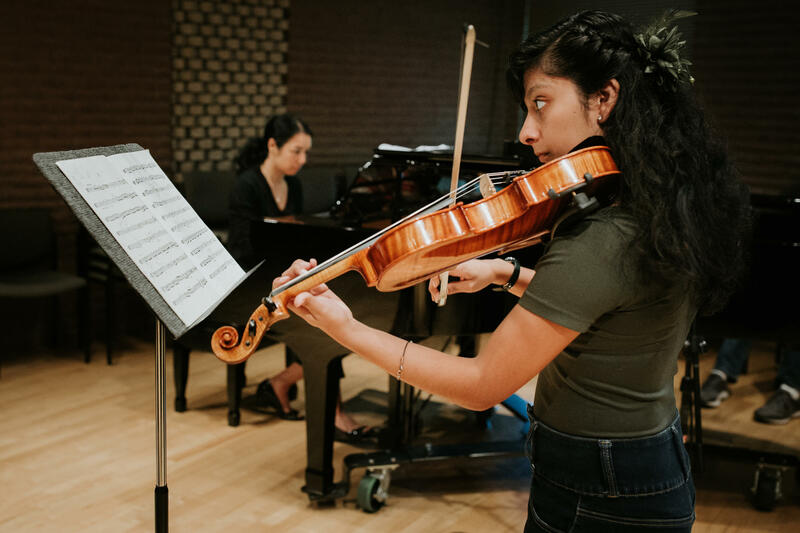 Representing Accelerando for Live in Studio C was 16-year-old violist Emily Martinez-Perez and 17-year-old flutist Aalia Hanif, and audiences can hear a concert from all of the Accelerando students at the Schermerhorn on June 11. 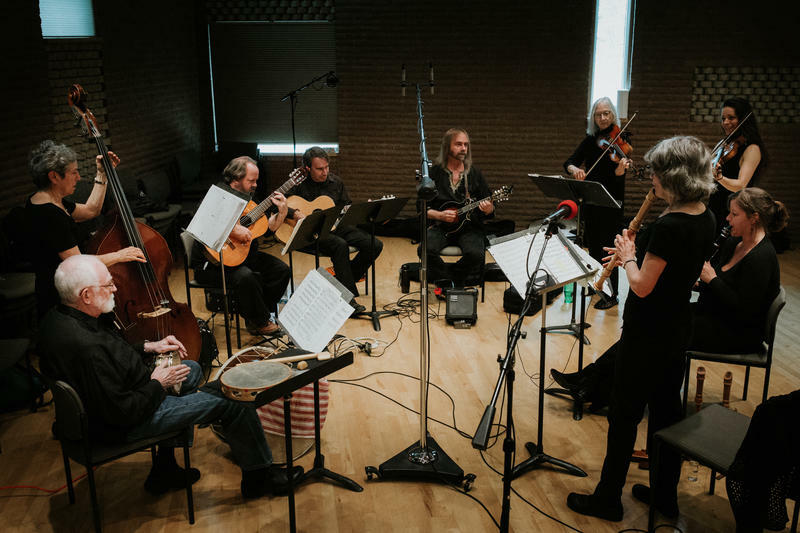 After nearly 20 years of welcoming musicians into our studio for weekly performances, Will Griffin hosted his final Live in Studio C this week before retiring. For a proper celebratory send-off, the Tantsova Grupa ensemble performed a lively set of traditional Eastern European dance music. Few people have ever known the ins and outs of 91Classical’s music library as well as Will Griffin. 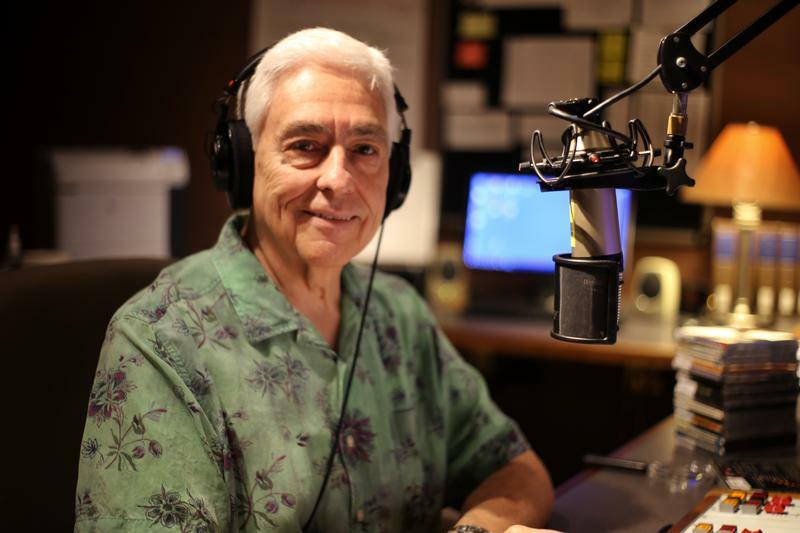 He’s worked with this music longer than anyone else at the station, and maintaining and adding to the collection was an important part of his job.